The draw is out for the upcoming Madrid Masters, which begins tomorrow, or today (Sunday) for those of you internationally. Click here to view the full draw including qualifying. 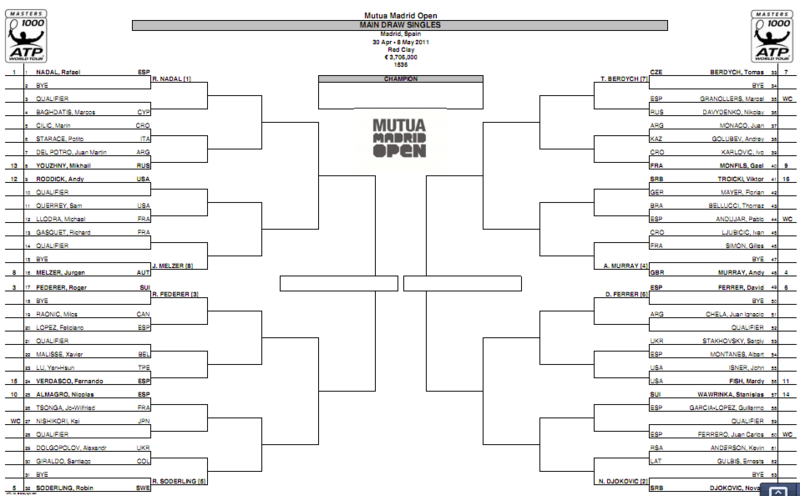 The main draw is shown below (click to enlarge). 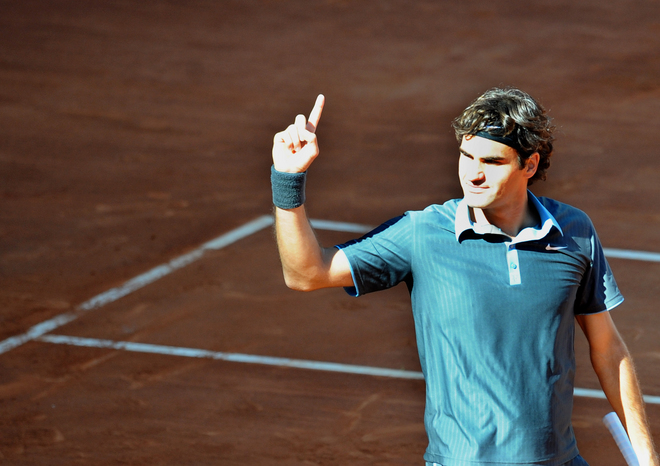 Roger is seeded third and his path to the title includes (if seeding holds up) a semifinal clash against Rafa Nadal and a final showdown against Novak Djokovic. This year’s tournament features a Sunday start and continues throughout the week, finishing with the final next Sunday.